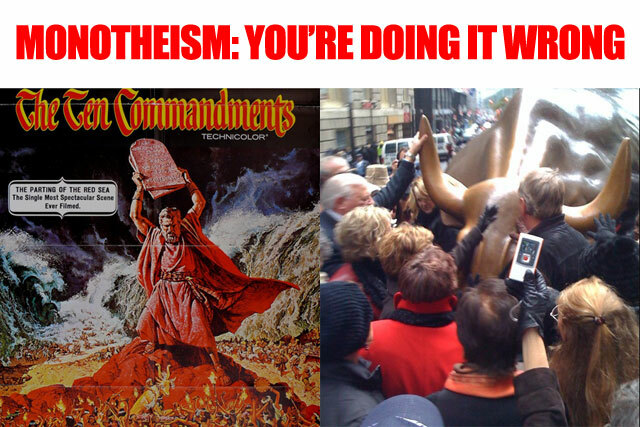 Don’t you mean… a GOLDEN CALF? Judaeo-Christianity is like Napster. It died somme time ago and its name was resurrected and used to push its diametric opposite, and somehow no one stopped it.